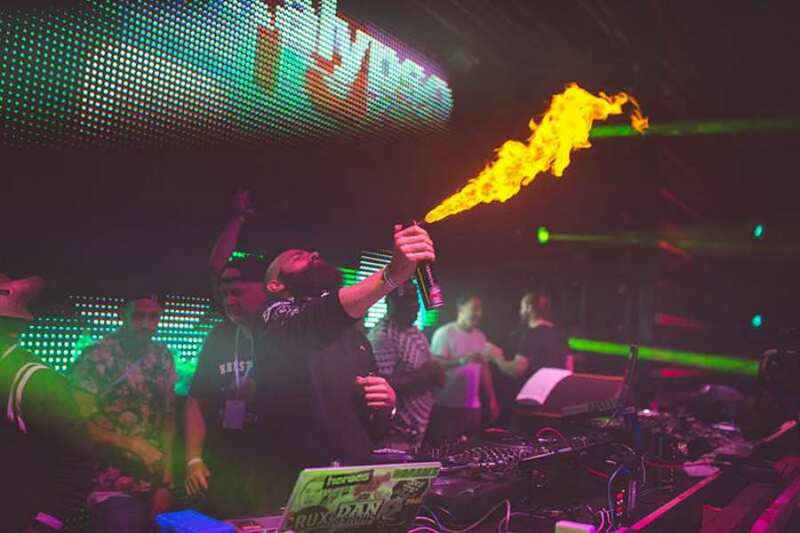 Check out our exclusive interview with Fresh Island Festival Co-Founder Adnan Mehmedović. Set against the breathtaking backdrop of the Adriatic coast, every year Fresh Island Festival lands on Zrće Beach in Croatia, the party destination for keen festival goers. Promising a 3 day blow out with some of the biggest names in hip-hop, grime and RnB, since it began in 2012 Fresh Island Festival has welcomed just a few of the industries most recognisable talents from Snoop Dogg to Iggy Azalea, A$AP Rocky, Rick Ross and Nas. The festival is held over 72 hours, with artists performing in clubs surrounding the beach. 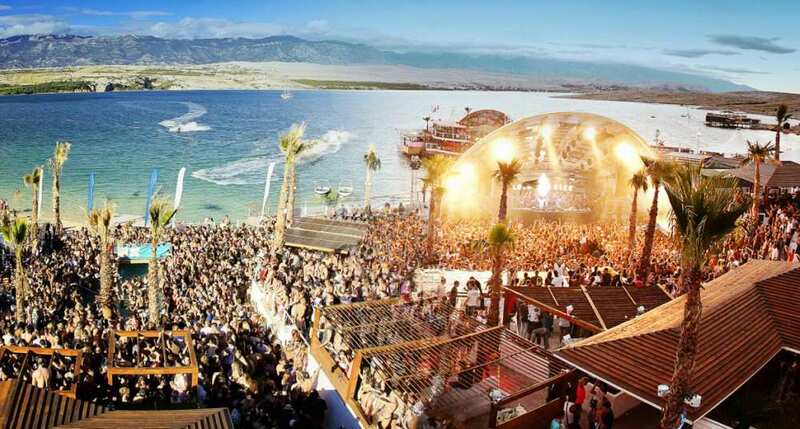 This year Fresh Island Festival are celebrating their 5th birthday this year and for a meagre £75 you can expect the likes of Wiz Khalifa, Ty Dolla $ign and DJ Premier to tear up the Croatian coast. Feeling tempted? We sat down with Fresh Island Festival Co-Founder Adnan Mehmedović to chew the fat. Find out all about the festival and how you can get into events in our exclusive interview with Fresh Island Co-founder Adnan Mehmedović. How did you first get into putting on your own events? If we're talking about in general, my first ever events were in shelters during a war in ex-Yugoslavia. I was in elementary school, my parents gave us a shelter for one weekend to have little fun and forget about all the bombings and the upset. I took my sound system, I also had multi-coloured lights that I used and made a party for 100 kids from the neighbourhood. And I loved the feeling. In terms of Fresh Island Festival, the four of us (partners: Stu, Bizzo Bodega, Phat Phillie and me) were really good friends but also Phillie and I were hip hop & r&b promoters with really successful brands and nights [Blackout and RNB Confusion]. Bizzo was one of the first rappers in Balkan, a pioneer with a group called Bolesna Braća and they were and still are huge in Croatia. Stu was an ex-rapper and corporation kid doing all the major corporative events in Croatia. I was working as a PR/Marketing manager for Papaya Club from the beginning [early 2003]. We noticed that many UK promoters were starting to come with their brands and Festivals to Croatia, but none were covering hip hop and urban music so we felt that it was time to make that next step. In Croatia you had 2-3 promoters doing festivals on this level, others mostly from the UK and Germany. Hip Hop wasn't at the top of its game in 2012, EDM and electronic music were there though. We started with Nas and Eve, but no one believed that we would make something big out of the initial idea. We had the idea at a bar during the Weekend Media Festival in Rovinj; Bizzo and I were drinking too many beers discussing our dream plans, the rest is history! And I have to say, the dream came true. Can you tell us a little about the team that work on Fresh Island with you? We're like a small family. We have been friends for years, and all other newcomers in the office are treated as family too. We love that kind of approach; a good company, trust, fun and passion. We think our festival has that energy, fans can feel it from the outside. Phat Phillie is the man for booking the artists. Stu is the project manager, running all processes. Bizzo is the creative one; images, videos, website, slogans. Senka does all the finance and is always yelling at us [haha]. Lobel is the man for all the ticket stuff and travel agencies. Re is my right hand man regarding all PR activities, and now we’ve hired one more girl to be our office manager as well as 2 international students working in office for the next few months. That's the core crew but of course we have a strong team of partners that we love (Croatia Wave, Full Fat, Masita) all the crews and DJs and clubs who are supporting us etc. Biggest challenge you come across when putting on your events? To get the artist we want for a good price, cancellations and nice weather of course, because that is our biggest advantage. Also to accommodate everyone arriving, and quickly. Once Eve was late getting on her plane in Macedonia, she was texting Phillie to say that she hadn’t caught it. We found out that the plane was still at the airport but they had closed the gate. So Phillie called our good friend and DJ Shorty P in Macedonia to stop the plane! He did it, and the plane was 45 minutes late but we were happy to get Eve to that festival. That was in our first year! What advice would you have for someone looking to start a career in events? You need to create a brand with passion and a dream. You have to be good at maths to calculate all the costs and potential profit - that's very important because when you have a clean slate you can be totally creative with your events. Always think about your audience; providing some kind of different experience. Think about special venues, not just regular clubs, and do your research; every city has an interesting history, castles, old fabrics, beaches, rooftops and secret areas. People will love that. Your communication online and the images that you create are the soul of your events. If you have a cool design, modern and different that speaks to your fans about the events, you will gain their support. In an events career I recommend you start at the bottom - join a street team distributing flyers; from the streets you will get info on people’s likes and dislikes. Communicate with them, look at their reactions. Go out as much as you can but to different kind of events, learn not only from their mistakes but also from their successes. From Jazz, underground, corporate events, fashion weeks, parties, festivals; anything and everything. And be up to date with a new technology. What event would you look to if you were to say 'this is how you put on an event properly'? I really like Burning Man. The PR, images, videos, photos and story behind the festival is amazing, they certainly have a different approach. Sonar and SXSW are also great events to watch and learn from and to connect with the industry. Winter Music Conference was good too, back in the day. Oh and I like the history of the Exit Festival; the fight for democracy and organisation. I really like what Nick Colgan is doing in Croatia with all the festivals in Tisno. Alongside a bunch of guys from Papaya Club, they were the first ones who started the festival scene in Croatia. They’re true pioneers and they’ve set a really good standard for all others promoters. Finally, Hideout are the guys that you really need to learn from. Your key elements to putting on a successful event? How does your career affect the way you dress? If you are in the events industry you always need to look fresh. Black and navy are our island colours as well as hats. And you always need some kind of t-shirt no one else has! At the festival itself I bring out my artist collections that I get from the sponsors or my favourite artists so I can tell the stories. Oh, about that... people love the stories! I always have a fresh hair cut and Airforce One’s are a must! When I’m at meetings with sponsors, I go for a smart casual look so they can feel that you're one of them. Tumbler, Instagram and the artists that I follow, people like ASAP Rocky and Wiz Khalifa. Brands that I love like London's Shorebitch, London Village Kids (LVK) and Faded too; they always bring some nice ideas and inspiration. Beastin [German label] also have some really nice collections. I also like Croatian designers Coded Edge; all black everything. What advice would you have to someone who is having difficulty developing their own style? Play the game and be different. Adidas is always good, their trainers and their t-shirts. What about military jeans or Wrangler, a red Airforce one and a black t-shirt. Use small details like military chains printed with the name of your crew or brand, a leather bracelet and you’re ready to go. Watch your music idols and take inspiration from them. Top picks from The Idle Man right now?